Recently, taking more than one means of transportation to work or to deliver goods has become common for citizens in big cities or logistics companies. A transport system that contains various transport means is called a multimodal transport system. In each route, there is carrier: airline, railway or bus company who has contracted to carry passengers with a specific schedule. As each carrier may have other customers, the number of passengers that it can serve is stochastic. Hence, this study formulates a stochastic multimodal transport network (SMTN) to model a multimodal transport system. The transfer time and fee are necessary when changing the means of transportation. 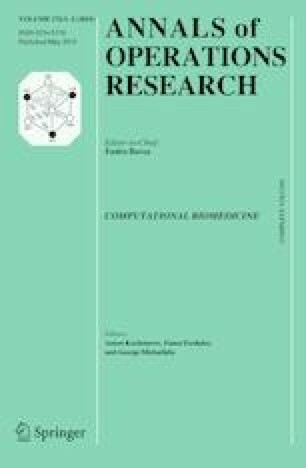 This study proposes a complete algorithm to evaluate the reliability of the SMTN that is the probability that the requested number of passengers can be sent successfully from the origin to the destination under time and budget constraints. Since time and budget are the passengers considered most before traveling, the reliability in this study evaluates the SMTN regarding meeting travel demand and passengers’ requirements simultaneously. A case study of a travel agent is presented to demonstrate the solution procedure. Huisheng, G., & Jingyu, Z. (2012). An improved algorithm of network reliability based on pathset and Boolean operation. In Symposium on ICT and energy efficiency and workshop on information theory and security (CIICT 2012), 4–5 July 2012 (pp. 189–193). https://doi.org/10.1049/cp.2012.1889.